Welcome to Binary Options University! We are happy to have you join us for learning and studying this trading market. Keep in mind, that we have put this trading site on the Internet to help you achieve your trading goals, but please make sure you understand the Risks involved. You will see risk messages all over the site. Please take these very seriously. Binary options trading has grown over the years. Where it goes from here is still in question. Binary options trading is a way for you to potentially make money or lose everything you put into it. In the past, the stock market has been seen as a haven for people looking for big gains. People are always looking for new ways to get into the financial markets. Some people make money, but many more lose it. When you want to start trading, the platform will differ a little bit from broker to broker, but your basic interface will be the same. First, you select an asset. Then you select which direction you think it will go (up/call, or down/put). Next you figure out your timeframes. Do you want to have a quick 60 second trade? or do you want to choose an expiration time 30 minutes from now? Your brokerage should help you to pick an expiry from a list near the asset you have selected. Finally, you want to decide how much to risk. Some brokers have a minimum of $1 or more. If you’re new, you will want to start out as small as possible until you have refined your technique. Next, when you’re sure that everything is the way you want it, you hit the button that executes the trade for you. Then, you wait to see if you were right or wrong. At their most basic, there are two main types of binary options. The call option is what you will use when you think that the price of the asset in question will go up. You utilize the put option when you think the price will be going down. This is simple to learn—only one of two things can happen. You are either right and you see a profit returned to you, or you are wrong and you lose your risked money. This creates an illusion of simplicity. Binaries might be simple in how profits and losses are set up, but this is where they stop being so. If you want to be successful at trading, you need to have a mastery over chart interpretation, sentimental and technical analysis tools, and even have a good eye for spotting significant fundamental trades. The best way to start in binary trading is to get some practice in with a demo trading account. With a demo account, you can practice trading in real time with certain brokers. There is no way to duplicate the experience that comes with real life trading experience. The way it works is straight forward. With demo trading, you are given a certain amount of fake money to start out with. You can use that money anyway you see fit. The platform you will be using for demo trading is the same platform that you will use when you’re actually trading with real money, so demo trading helps eliminate the learning curve and any mistakes that you might make while figuring out how to use the software. 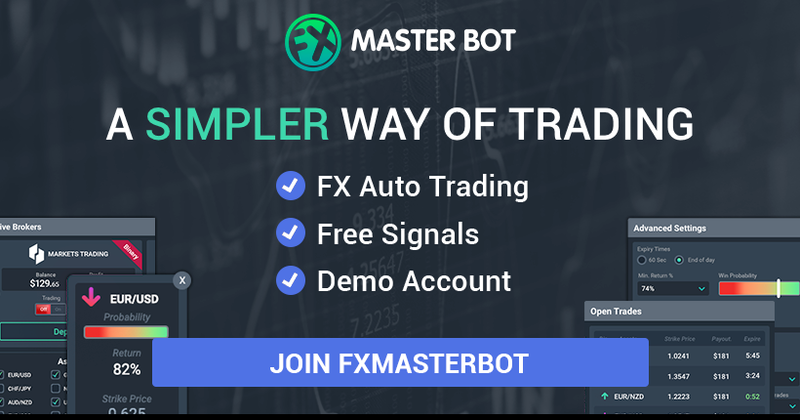 US Traders can open a Nadex Demo Account in just a few minutes. Demo accounts will differ from broker to broker, and some places do not even offer demo trading. Still, this is an important part of your trading tutelage. Do you have a Demo account yet ? There are downfalls to using a virtual account, however. Most binary options brokers that have these will only allow you to keep them open for a very short period of time. Some will only allow you to demo trade for up to 72 hours before closing your demo account. This is more than enough time to figure out how to use the software functions, but if you are brand new to trading, this is hardly enough time to work out an effective trading routine. If you are new to trading, you will want to give yourself as much time as possible before starting out. Experience is something that you need to accumulate over time. Still, there are a few main things that you should be keeping your eyes open for when figuring out which broker or brokers to use for your trading. You want a company that will allow you to use their software in demo. With fast paced trades you can’t afford it if the software slows down or wastes precious seconds. Enough assets. There’s no point in trading at a broker that doesn’t have the assets that you want to trade. If you have a background in Forex trading, you want to make sure that they have a rich assortment of the currencies that you would be interested in trading. If they don’t have the assets you need, don’t waste your time. Good rates of return. This is imperative. If one site is offering you an 83 percent rate of return while another is offering you 84 percent, as long as all other factors are the same, you need to go with the one offering more—even if it is only a 1 percent difference. Factors like ease of use are important, but you don’t want to sacrifice profits just because one broker takes a little bit longer to get used to than another. Enough option choices. There are more choices than just the standard call/put options. As you become more advanced in your trading, you will find that the more customizable your trading is, the more profitable it will become. Start with the basics and work your way up until your trading strategy is exactly where you want it to be. You can also consider trading with a binary options robot. This may be a way for you to trade the markets. There has been a lot of chatter lately about the right broker to choose. It’s become so important we decided to share another site with you that may help you make even a more informed decision. It not only offers reviews like we do, but it also gives plenty of other news information. If you have any questions about this please let us know. The thing about binary options trading is that you cannot enter a trade unprepared—ever. In order to meet long term success here, you need to have a viable method of identifying profitable trades and a good money management system to make sure you are never risking too much at any one time or risking too little for the trade to be worthwhile. Trading methods can take months (or longer) to develop, and if you skimp out on this area of your trading, you will likely not be successful. Do your research on the asset you are looking at and make sure that you have a good entry point picked. This will make sure that you are efficient at picking profitable trades over the long term. The trade you pick doesn’t need to be a monumental one. Small movement of only a 1/10th of a pip will get you a profitable outcome. Still, if you are trying to select only the very best trades, you will not be trading as many trades throughout the day as the person who looks for tiny movement. Which method you ultimately apply is up to you, but think about it this way: would you rather have a few trades with a really high probability of success, or many trades that look like they will go only slightly in your favor. If you make only a few trades per day, but the quality of their outcome is superior, you might be able to make more money off of fewer trades. Quality is more important than quantity. However, the immense risk that is associated with binaries is also something that you can use to your advantage. The knowledge that you gain because you know what you are risking is a tool that can make money management a whole lot more helpful. For example, when you are trying to determine your weekly goals for profits, you can determine how many trades and of what amount those trades need to be in order for you to hit your goal. You will find that sometimes, even after taking these five points into account, that one broker doesn’t have everything you need. If this is the case, having your money in more than one broker is perfectly acceptable as long as the brokers are regulated in your area. For example, if they offer 85 percent returns on the EUR/USD pair, but only 70 percent on the price of crude oil, you can trade the Euro/U.S. dollar on your original site and oil on another that has a more favorable rate for you. This is okay to do, and because most binary options brokers have web based platforms, it won’t slow down your computer a lot to be running more than one broker at any given time. Above everything, you always will want to make sure that you are comfortable with the trade and confident in your decision making ability. When you start having doubts about whether or not your system works, or if you are nervous because you risked too much money, your emotions start to come into play. When your emotions become a factor in your trading, logic and research take a back seat, thus making it harder to be successful. Emotions have no place in trading of any sort; you want to be as rational as possible. If you are starting to have deep feelings come up while you are trading, it’s time to take a break. You can always come back when you are ready. Get the experience you need and do not trade outside of your parameters. If you are studious and astute in this, you can be very profitable, but you need to remain disciplined. You have the potential to become a successful binary options trader. Are you Still Looking for the Right Broker in 2017?